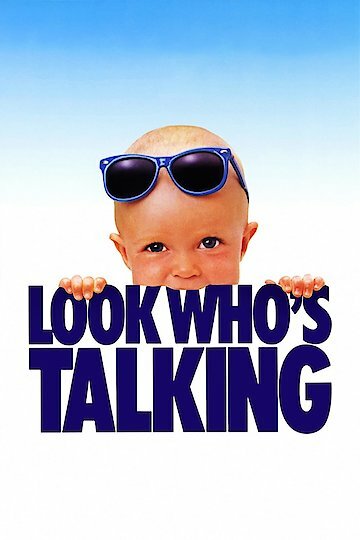 The movie "Look Who's Talking" is a motion picture that tells the story of a single woman who becomes pregnant, and from the birth of the baby you hear the thoughts of what the baby is thinking throughout the movie. This movie is a comedy based on not only what baby is thinking, but also on the relationship between the mother, played by Kirstie Alley, and the babysitter John Travolta. The voice of the baby, spoken on voice over by Bruce Willis, is the baby responding to various situations that the baby is in at the time. Olympia Dukakis plays the grandmother, and her relationship with the baby calls for some very humorous thoughts from the baby's reactions to her. Look Who's Talking is currently available to watch and stream, buy on demand at Amazon, Vudu, Google Play, FandangoNow, iTunes, YouTube VOD online.